Longevity is written all over this wine. This will ride out the wave to be a classic birth year wine if that's what you are into. Beautifully constructed, and despite it's youth, there's much to admire where it sits at present. 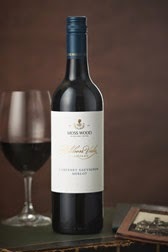 A blend of Cabernet (63%), Merlot (33%) and a drop of Cabernet Franc (4%) with only 10% new oak. Classic Margaret River to the fore here in the form of bay leaf, eucalypt, dried sage, black fruits, and cassis. The black fruits are juicy before drying out moving to a savoury shade. A terrific length which just hangs... long. Tuck it away. Patience will reward for at least 20-30 years+.